The TV must have been one of the first large monitor screens as it appeared to weigh about a million pounds. I'd never seen a steel TV. 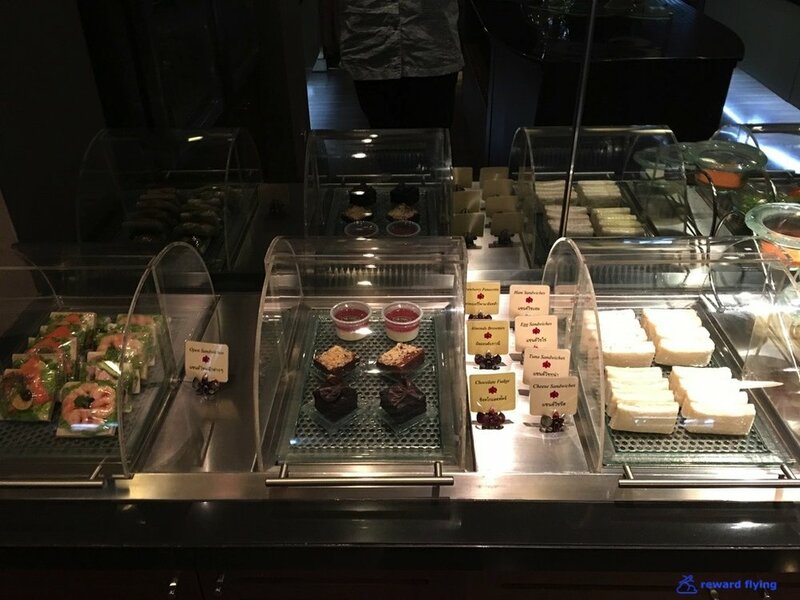 Immediately a young Thai girl entered the room and asked if I'd like to eat or drink. Her english was basic. 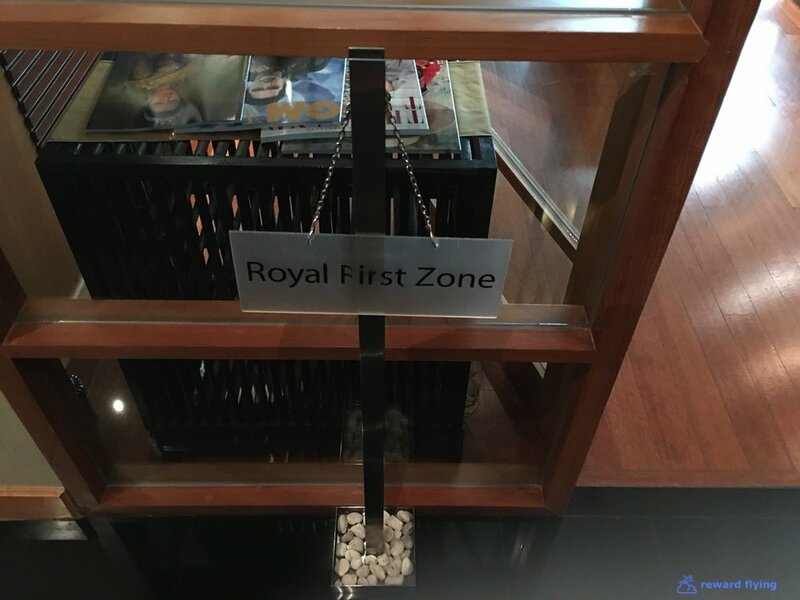 In fact the same language barrier (barrier to me) was apparent with all the numerous young Thai attendants who stood throughout the lounge. Basically they watched and smiled. 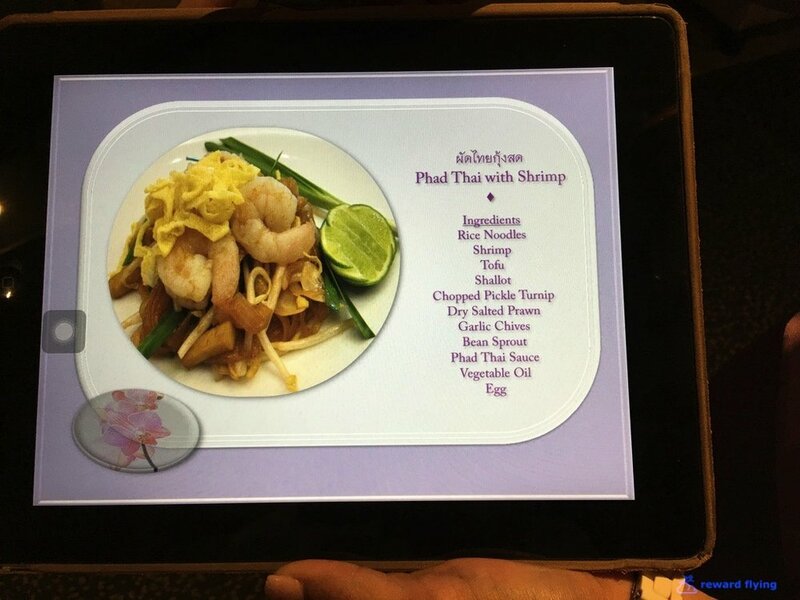 Last year on Thai's A380 first class flight from Narita to Bangkok for those that remember, the menu was presented on an iPad. That flight attendant was very protective of the iPad. Again she wouldn't allow me to hold it and didn't offer to swipe the pages to see what these items were. 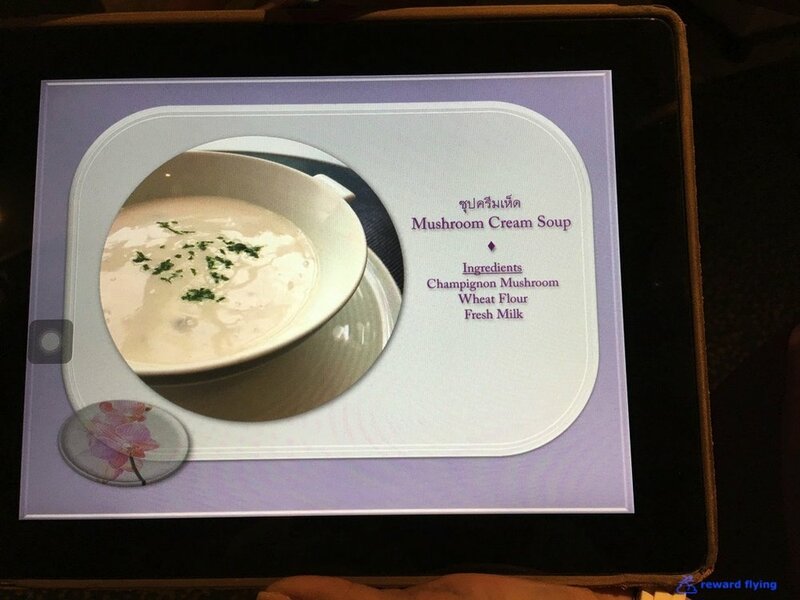 (Later on I found an attendant who understood english and I was able to get screenshots of the complete menu. They are shown below.) I ordered coffee and had a look around the lounge. The lounge is big and as you can see empty. I'm not sure who they were expecting. Thai only has 16 aircraft with first class, 10 747 and 6 A380. 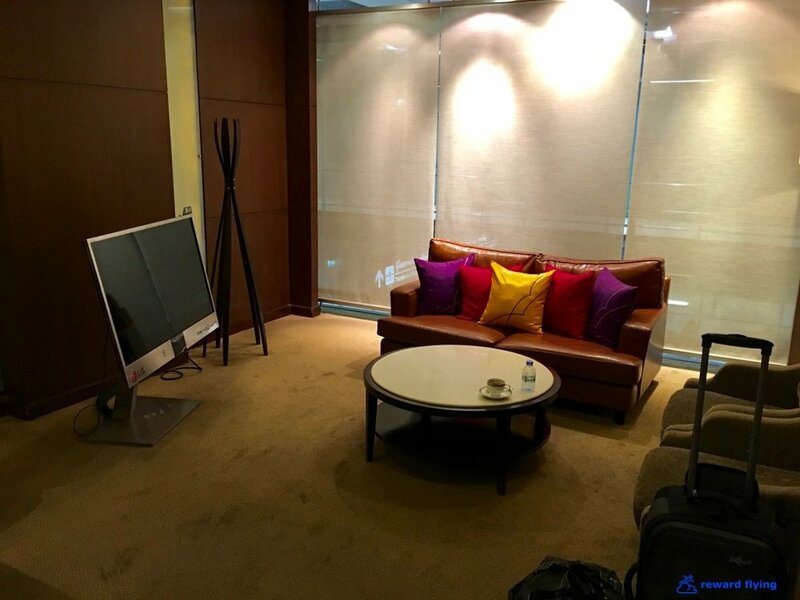 Access is limited to Thai first class and Star Alliance first class along with top tier Thai elites. And Star Alliance doesn't have any first class flights out of BKK other than maybe Swiss. However most Thai first class flights departed later, towards midnight to Europe or North Asia. My Sydney flight was earlier at 7PM so surely there were more patrons to come. It was nice having the lounge to myself, and the dozen or so young Thai lounge attendants. 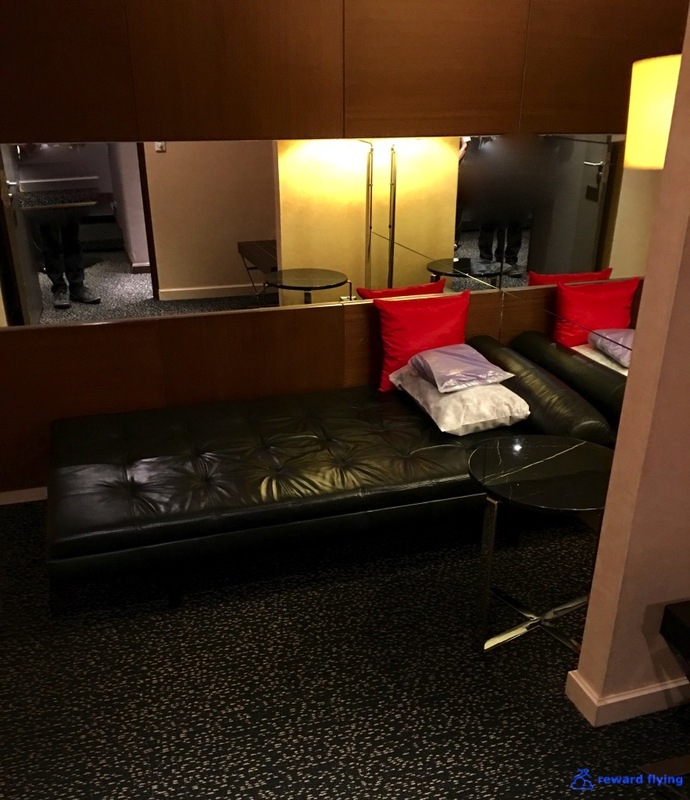 It is an attractive lounge, but old. And no doubt build when Thai had plenty aircraft with first class class cabins. A nice dining room is at the far end. 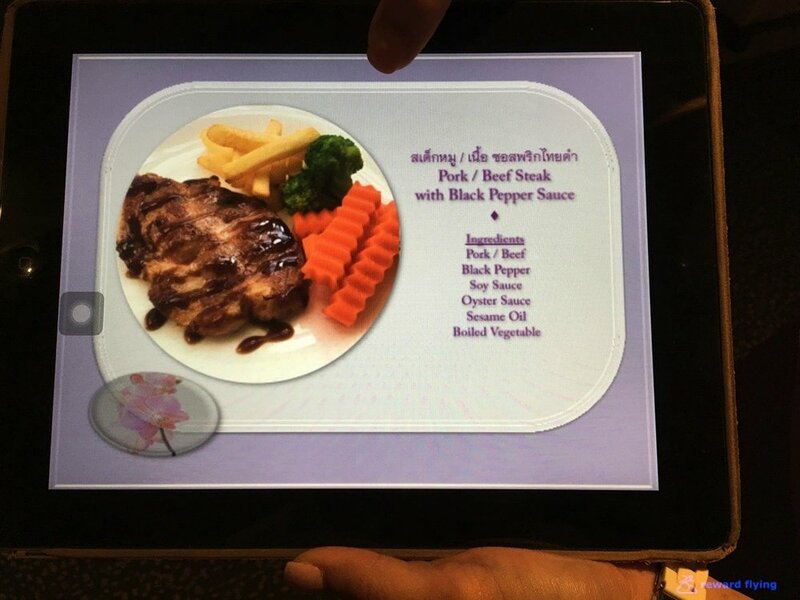 You can get a limited selection of buffet items or order from the iPad. I ordered the stir fried noodles with pork from the iPad and it was very good along with being nicely presented. 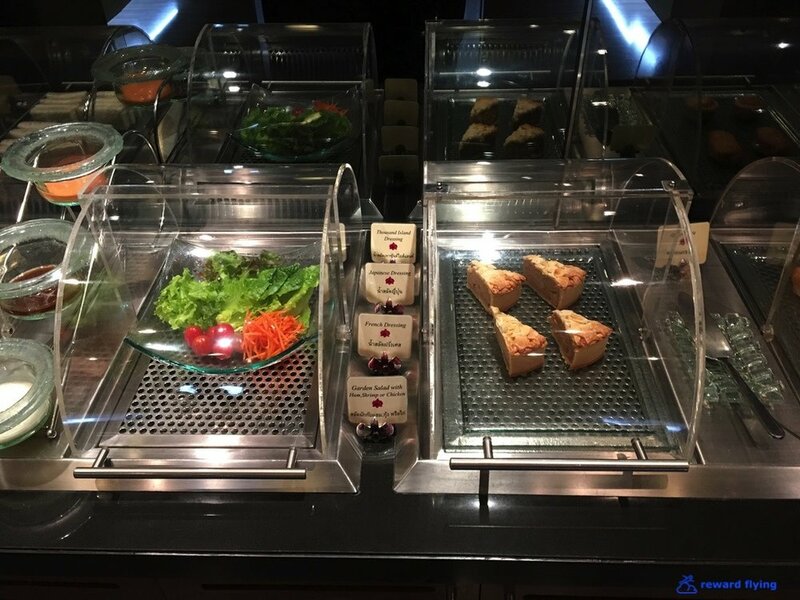 The buffet is small and wisely not stocked to waste much food. I took one of these small brownies and immediately one of the young Thai lounge attendants replaced it. 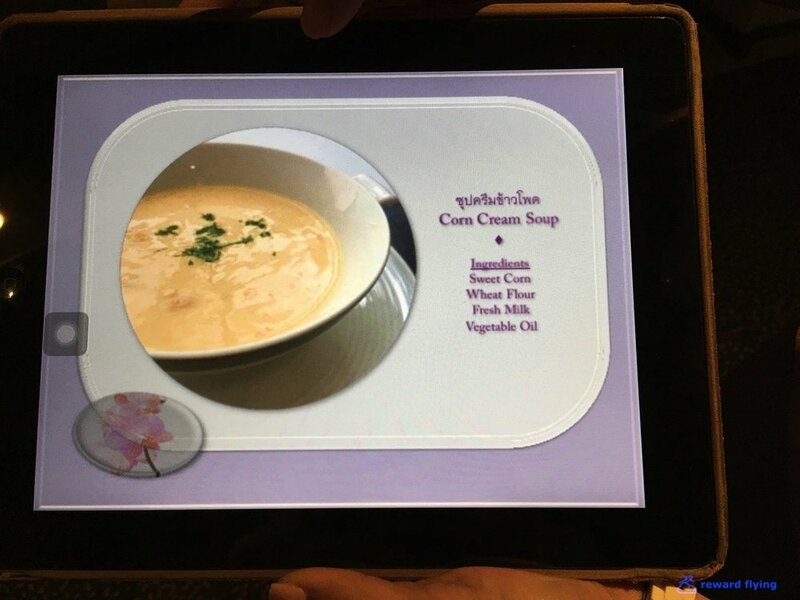 Here is the complete iPad menu. 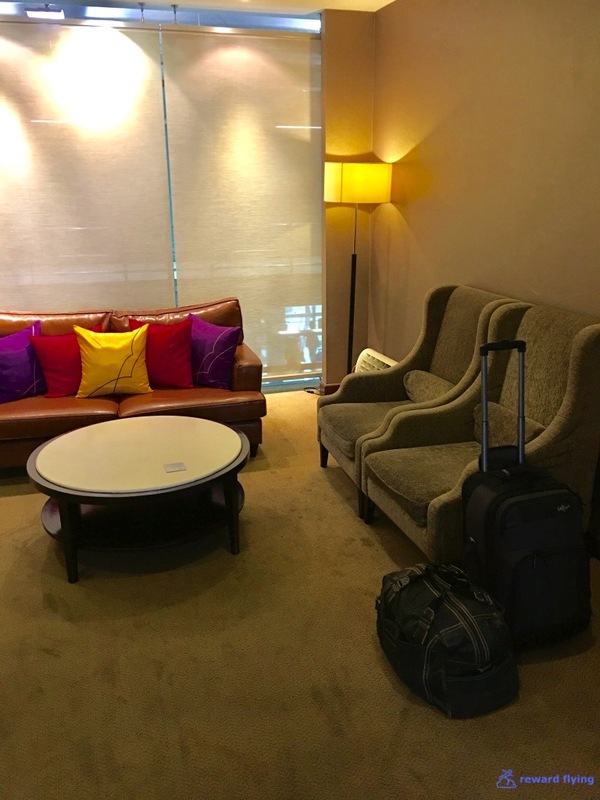 When you enter the lounge you go left for the sitting area. Going right takes you to the rest area and shower/toilet area. The rest area features a massage chair room along with day bed rooms. As you can see the walls of these rooms are mirrored. I didn't look at the ceiling. 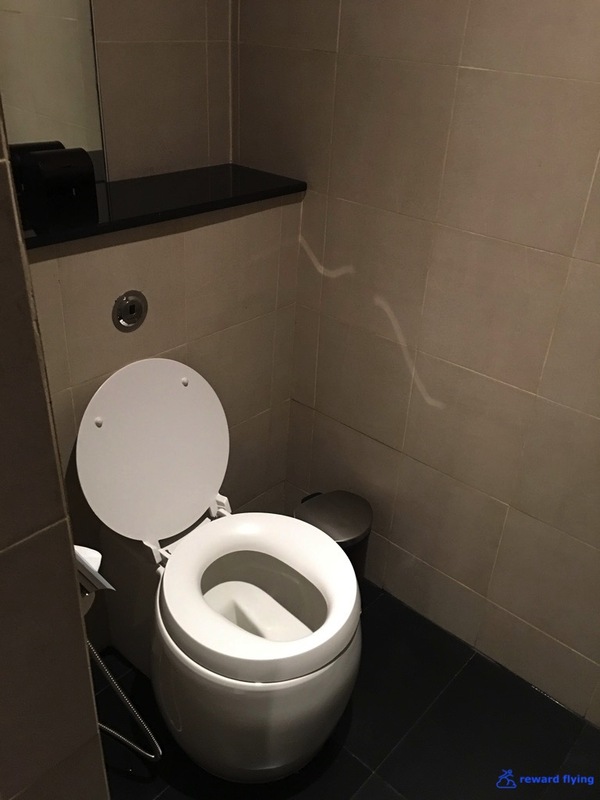 The private toilets look to have been recently upgraded. 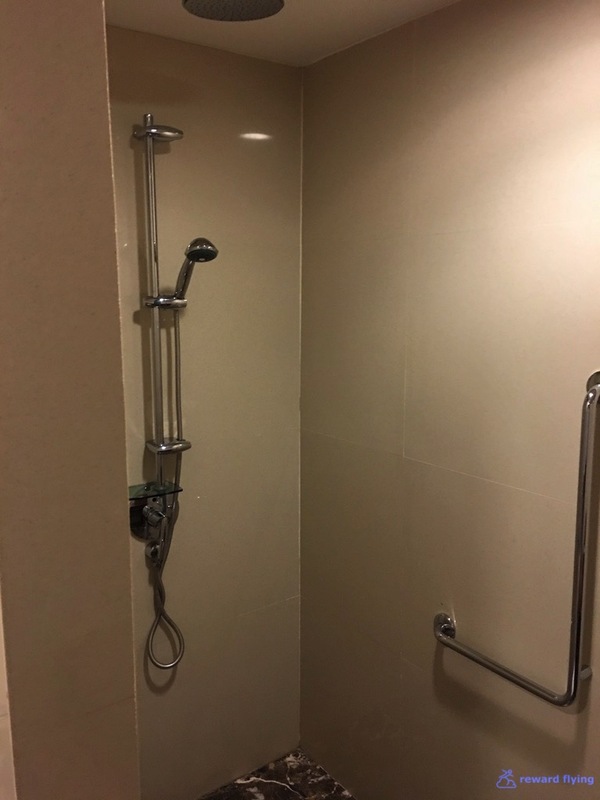 The shower rooms are large and nicely appointed as well. Soon it was time for my spa appointment. One of the reception attendants found me 5 minutes before the scheduled time and ushered me across the terminal hall to the Spa. The spa is available for premium class passengers. First class passengers can receive a complimentary one hour massage. 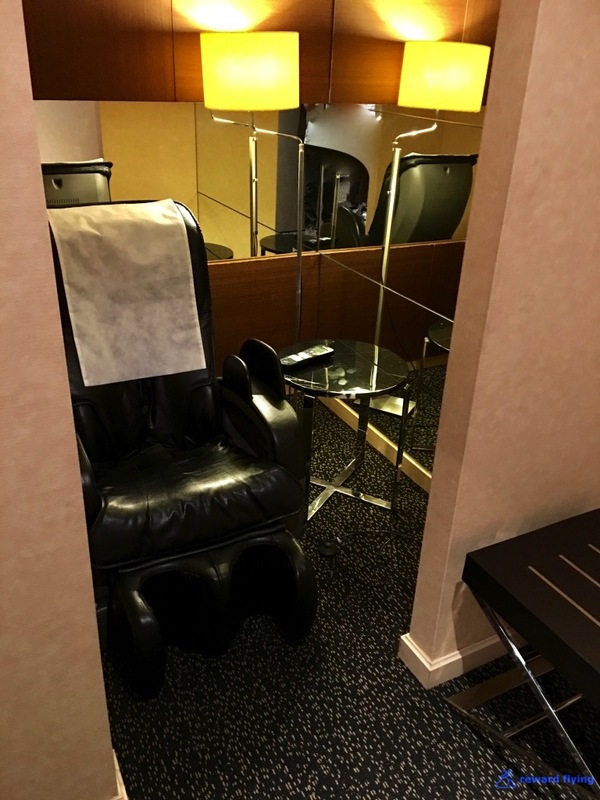 First class passengers also have a special waiting room inside the spa. Immediately a refreshing glass of cold tea along with a cold towel was offered. On the table were sweet treats which I couldn't resist sampling at least one! Within minutes of receiving the tea my therapist, Supansa, appeared and escorted me back to the therapy room. 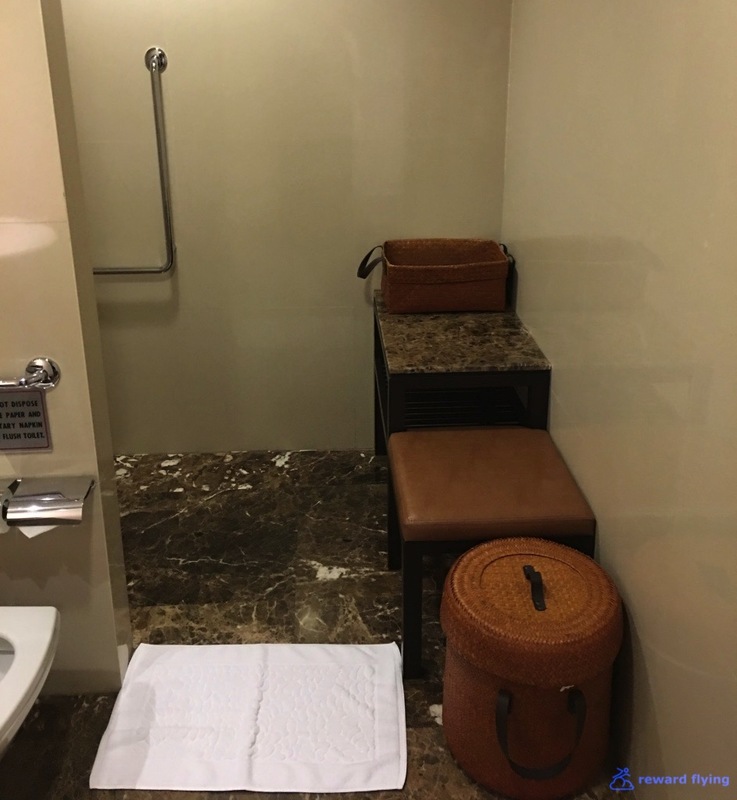 The massage room was complete with a jacuzzi, massage table, utility sink and changing room with shower and toilet. Supansa brought me into the changing room and laid out a light cloth garment that's worn for non-oil massages. Supansa gave an excellent medium pressure Thai style massage. All too soon it was done. She left me to shower and dress. The shower featured L'Occitane products. 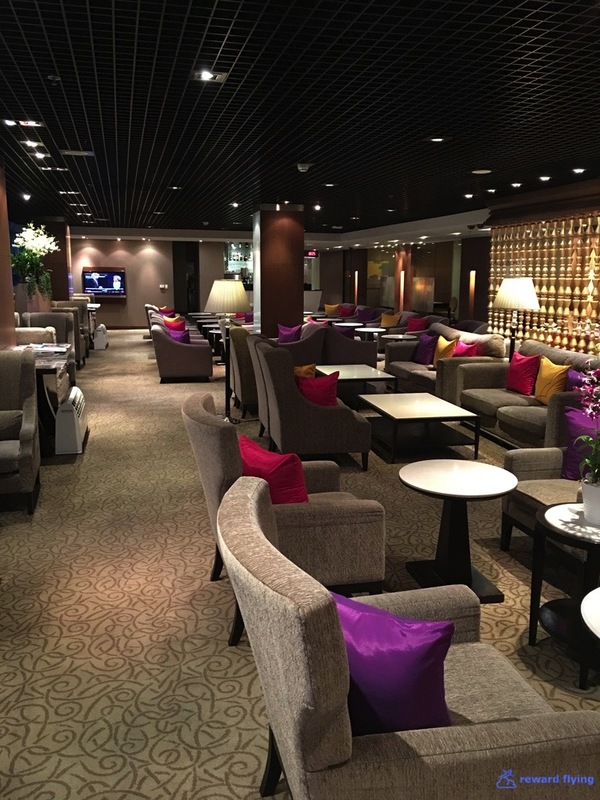 While the Thai Royal First Lounge and Spa may not be as aesthetically striking as Cathay Pacific's Pier or Wing lounges. 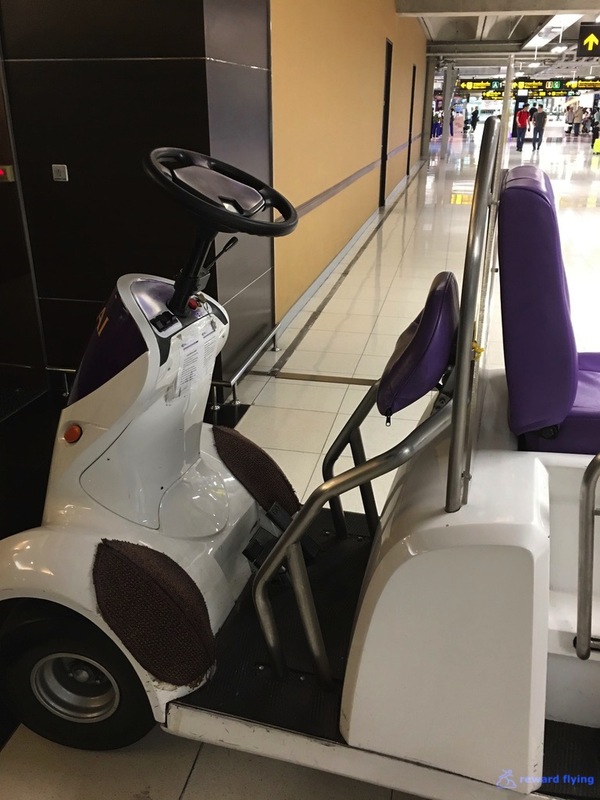 And the ride to the plane is on a golf cart, not in a Mercedes like Lufthansa's first class ground service. 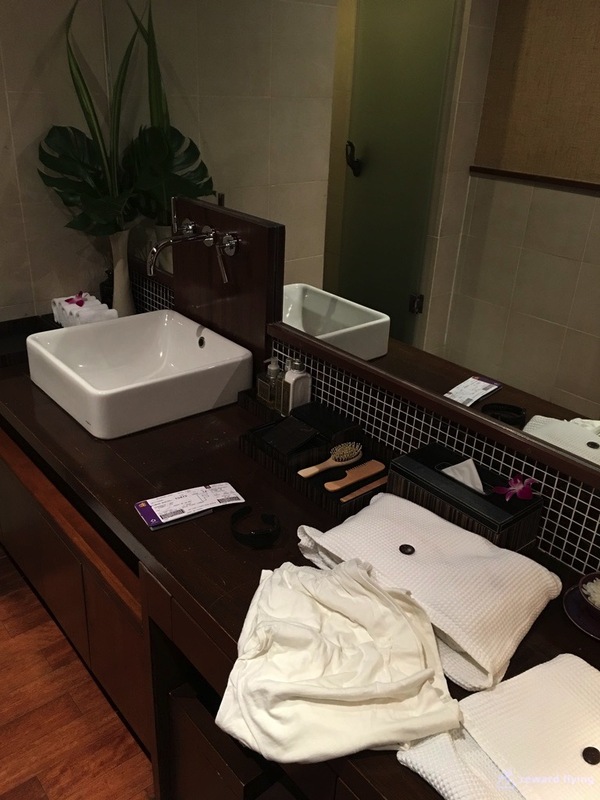 The spa experience is absolutely worth a visit if traveling to Bangkok. I would not hesitate to go again.